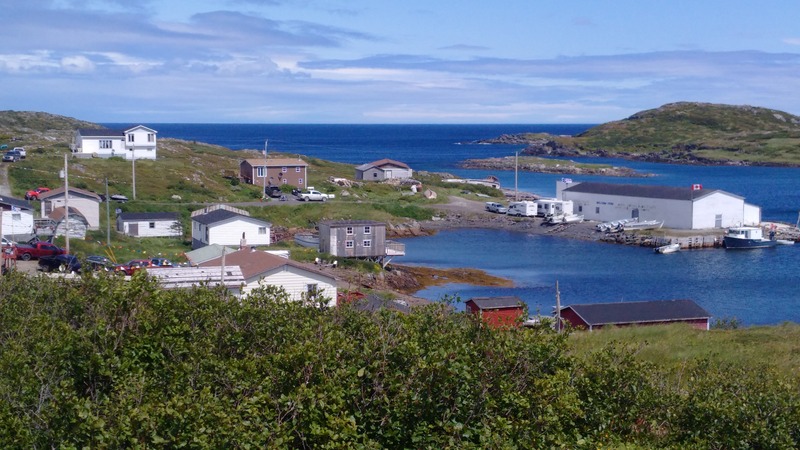 The census lists the population of Grandois (St. Julien’s, used interchangeably) at 50, but there are far fewer reside there today. 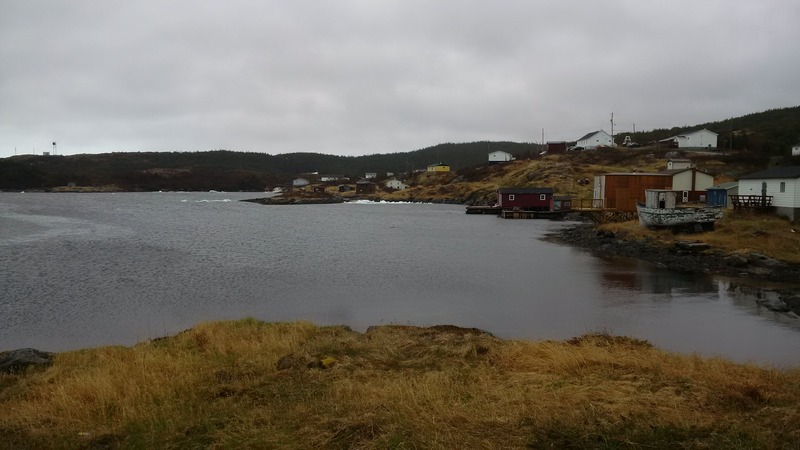 I visited this picturesque community a few weeks ago and took in a service at St. St. William’s Church which overlooks the harbour. 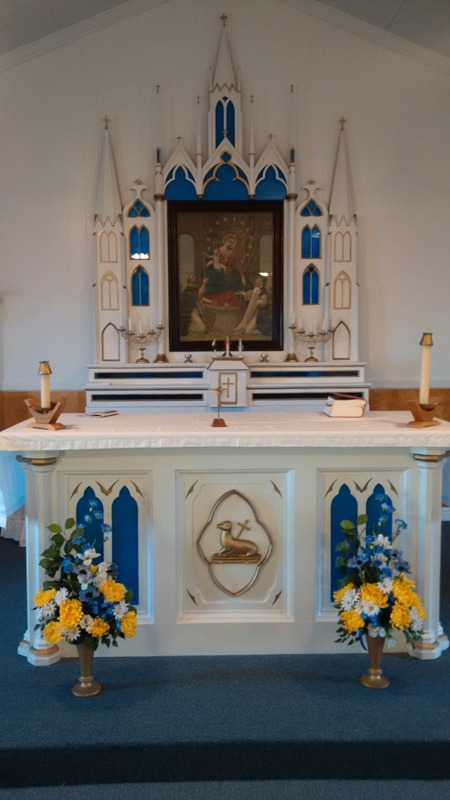 St. William’s Church houses a wooden folk altar built by Jack Fitzgerald in the early 1900s. The intricate details was carved by a pocketknife. It is a wonderful piece of history and depicts the talents of the people in the region. The community is steeped in French history and has beautiful walking trails that lead you to old French fishing sites, such as French Point. There are tent platforms, barbecue pits and picnic tables along some of the trails. Visitors can also experience St. Julien’s Island, Fischot Islands and Harbour de Vieux, which were re-settled communities. A boat tour can be arranged in summer, which may include up close views of icebergs and whales. Additionally, the community Grandois (St. Julien’s) sits on an abandoned copper mine that has been re-discovered in recent years with high concentrations of deposits. The population would drastically increase for this and surrounding communities with the development of a commercial mine. There are lots of untapped mining exploration on the Great Northern Peninsula, waiting to be unearthed. 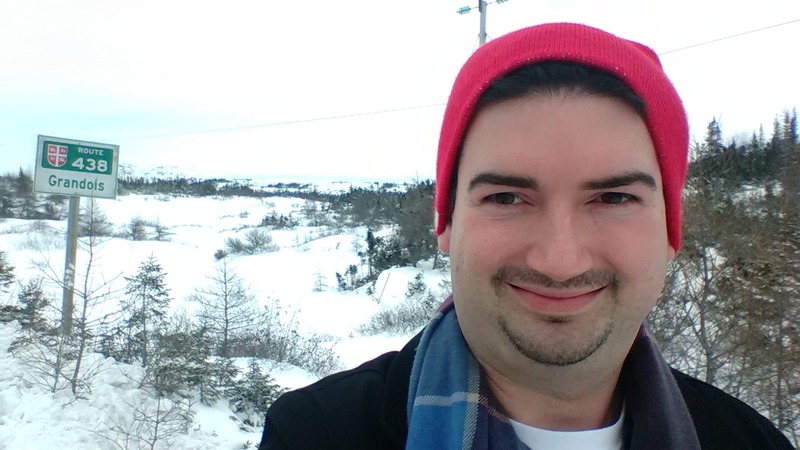 I would encourage people to experience the beauty of this tiny community, which requires nearly 30 km travel over a gravel road (Route 438 Croque road) off Route 432 near Town of Main Brook. Grandois will host Come Home Year from July 17-20th, 2015 and it surely will be a wonderful celebration of community and place. Population may increase or surpass historic highs. I look forward to it! Big things happen in small communities.